The no B.S. guide to living the modern “good life”. 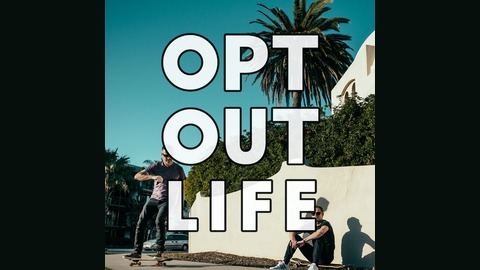 Hosted by subversive millionaires Dana Robinson and Nate Broughton, the Opt Out Life podcast explains exactly how creative hustlers are turning side gigs into real income and taking back control of their time. 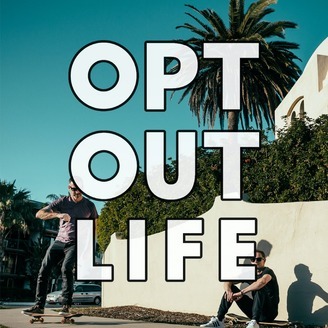 From their studio in sunny San Diego, the Opt Out Life welcomes guests who are solopreneurs, entrepreneurs, travelers, and creatives, who are proof that you can choose lifestyle over money . . . But still make money, too. Each episode of the Opt Out Life podcast combines the incredible entrepreneurial stories of our friends, with an instructional approach to applying the tactics people are using right now to earn passive income and travel the world. Our guests live non-traditional lives, without job titles, and often without jobs at all. They wear t-shirts and have no boss. They spend time doing what they want, traveling and earning substantial income in creative ways. We invite you to join the ranks of people who live the Opt Out Life.